In the back streets of Apgujeong, just steps from the glamorous Hermès building, is the highly acclaimed Soonsoo hair and beauty salon. Inside, you'll also find a nail bar, at which Mi-Ae Hong has worked her magic for the last 7 years. A maverick in her field, she has done nails for countless photoshoots, music videos and celebrity clients; including the likes of Girls Generation, Ailee, F(X), Girl's Day, Sulli and many more. At the ripe age of 20, Hong began attending a beauty academy to learn the trade. While simultaneously starting her nail artist career, she also completed a university degree in design. Although both are creative in nature, she ultimately decided to stick with her first love, nail design. 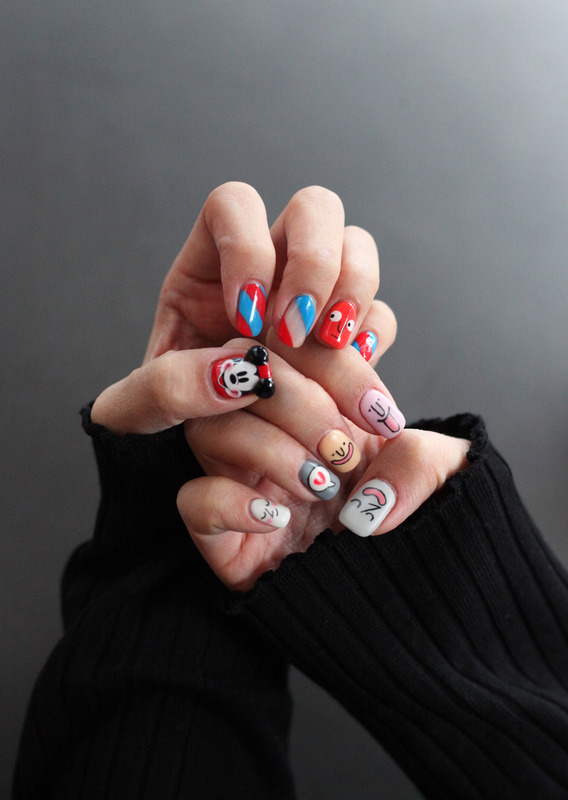 When it comes to trends in the industry, Korean nail artists are definitely leading the way. Popular designs typically include additional pearl or metal elements, or impeccably hand-drawn art, a technique which Hong has perfected. Mi-Ae gushes that she is a fan of many Western nail artists, like MP Nails (@mpnails), who tend to practice more simple and symmetrical styles. She is inspired by what surrounds her in daily life, like street-style or prints and patterns she encounters. For a new design, it typically takes 2-3 hours to complete, or even longer for more intricate work.